What happens when a passionate football player breaks his ankle during one of his matches? No one can answer this better than Archis Patil. A football freestyler who spent hours and days inside a cyber cafe researching about freestyling with a broken ankle in his teenage only to become one of the world's most famous names in it. A proud record breaker of shoulder spin rolls and side head stalls in the Guinness Book of World Records, Archis is much more than someone who can fidget with a football for hours. Winner of a popular Sony TV Show 'Entertainment Ke Liye Kuch Bhi Karega', and a participant of one of the most famous youth Reality Show ‘MTV Roadies’, Archis's life is an epitome of a rise to success through determination. Read ahead to know how he made sure that he is recognized for what he truly works for. I was a professional football player and had represented India in many international football tournaments. I played for under-19 team of Air India and in numerous tournaments in Denmark and other countries. I left playing football as a footballer and begin as a freestyler in football was because of my ankle injury, my ankle was broken in a match and due to various other factors of playing football, I couldn't get proper rehabilitation for it so I had to stop playing, but my attachment towards football didn't die there, I looked up at YouTube for stuffs footballers can do other than playing it and what I found was freestyle football that's my style. How did you learn freestyle football which is not so famous in our country? I tried to learn this freestyle football, but in my initial stages I failed miserably. I took it as a challenge, I used to watch many videos a day to train myself in it. Back then, there were hardly 10-15 videos on YouTube for this, freestyle football wasn't famous in India that time. Sports has now evolved, but then I used to train myself without any pre-requisites. I was connected to Orkut back then and people used to write about freestyling. I used to copy the links from Orkut to my notepads and went to the cyber cafe to see tutorials. I would watch the videos for half an hour, then play and learn to do those then again watch videos, technology wasn't so easily available then, watch the videos and train myself, so that became my repetitive process every day. I learnt many different things every day and then made the best combinations and fusions from them. This was the best part of learning different things, I could combine them according to my imagination. What are the hurdles you faced to learn and grow in Football Freestyle? The biggest hurdle, was that all these combos and fusions I made, they were imaginative in my head, I could portray them, but I did not know what they looked like because there were no means to record and see how it looks. The solution I had for this was that when I went to college, I used to show it to people they'd appreciate and say “Wow! Amazing! You are really good at this.” That was certainly my motivation but then there were also some people who'd criticize it and consider it as a time waste and they'd put me down, but I always took it as a positive motivation. The perks of doing something extraordinary always includes a pack of problems. Social acceptance was always zero for me since this was something out of the box and new is always unacceptable. People around me only would put me down, they'd say, “Ya, Ya he's playing football and would come back and study in an hour,” or “what are you doing, you're not even playing football, you're just juggling, what do you expect from us to put you in a football” They didn't understand that I wanted to take it as a profession and not a hobby. They wanted me to do a stable job and earn a good living. They'd ask me, if anyone who has done this and has been successful, but I would tell them that I am the only one from this generation. How did you come up with fusion of break dance and football? In freestyle, it's about your own unrestricted style, your character, your personality, individuality, and how you change and portray yourself, it’s everything about ME in freestyling. It’s about my emotions and how I am just being myself and not copying someone else's style quotient. People had started calling me for college events, which was a good amount of recognition for this sport as well as my passion. It made me more professional, I usually spent my time watching better and more professional videos of freestylers, I even started following them and I got to know that freestyle footballers have a proper diet plan and training routines. I watched videos of great athletes like Michael Phelps, Michael Jordan and realized that they wear these good clothes and use athletic equipments to train themselves. It was time to evolve for me then, I worked upon my tricks and made friends with good break dancers because I believed our company defines and makes the most of our personality. I had a thought of mixing football with break dance music. It was like an upgradation to my personality, my character, my performances! It gave me great ideas, like whenever I saw skateboarder, I had an idea for a trick to put the ball on my head and skateboard too. Is there a systematic way of training a Football Freestyler? There was no systematic training for me, it was all upon me. Being a first-generation freestyler, I started from scratch. Now that I have spent months into learning this, I can train someone in a week because I am familiar with the technical aspects of learning freestyle football. When I started, there was no one to train me, which was even better because now I know hundred ways of training and the Dos and Don'ts of training. I have done the right as well as wrong for myself while learning, so now I know, what are the right ways to be trained. Firstly, I make a program of what I will be training in this week, then I set small goals for my everyday training, then I work towards these minimalistic goals. For instance, if I need to train for 20 combo tricks, I'd keep the hardest 4 tricks for the first four days, then come to little less harder 6 tricks for the next two days, and by then I have completed almost 10-14 tricks and in the end I will focus on easy tricks which will give me a total of 20 tricks. I like to keep my mind pervasive, like if I am doing the leg training in the morning, my mind will still be open. Then I'll relax for some time and in the evening, I'll have an upper body session, to keep my whole body active regularly. When I made the first World Record in Freestyle Football, I was shocked and surprised because it was the moment I realized that I've achieved something with my hard work and passion. I would consider as a big thing or as you said the “I Am The 1” moment. Can you share your experience of breaking the World Record? World record is certainly a big thing, about which I was unaware until Colors channel team approached me for this reality show of Guinness Book of World Records, after seeing my videos on YouTube. 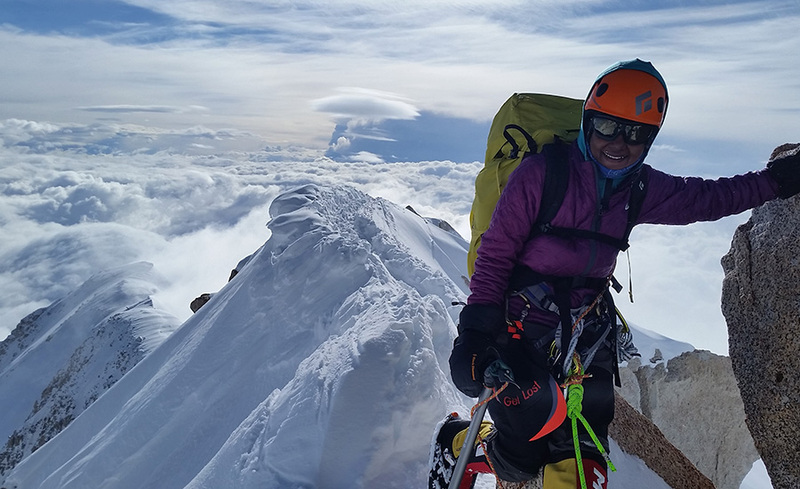 When I received this call, I considered it as a golden opportunity for myself and equally hard to achieve, because I only had one attempt to make it a world record which would be live on the show, and I had just two months for that. I started practicing for 8 hours a day regularly, without fail. I might have been tired of doing the same tricks everyday but in my mind, I knew this was the only opportunity to make India proud of me and prove myself to everyone who criticized me in my initial stages. 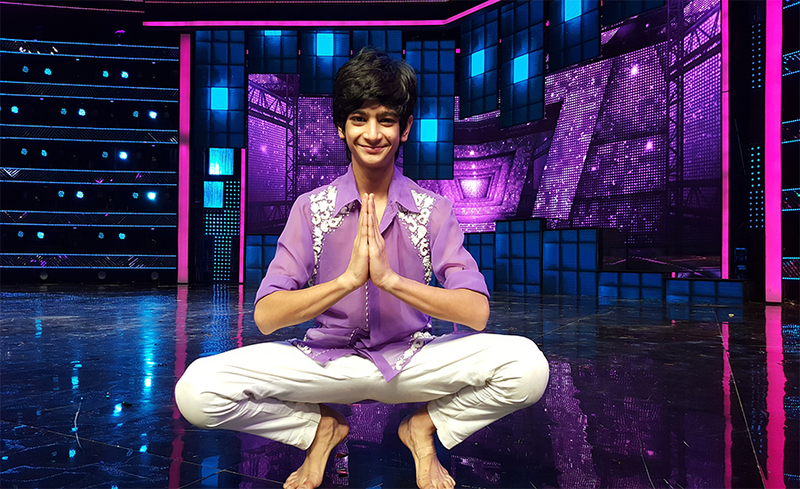 Continuous and rigorous training of two months and then I performed for World Record, the show was in Chembur in Rakesh studio and completed it successfully. My performance had consecutive 63 shoulder spin rolls over the body and hand in just one minute on 22nd March 2011 on the set of Guinness Book of World Records in Chembur. My second World Record was in 2012 for Limca Book of Records for 96 consecutive head stalls in a minute. Recently, in 2017 I broke another record for Guinness Book of World Records for doing 101 side head stalls. 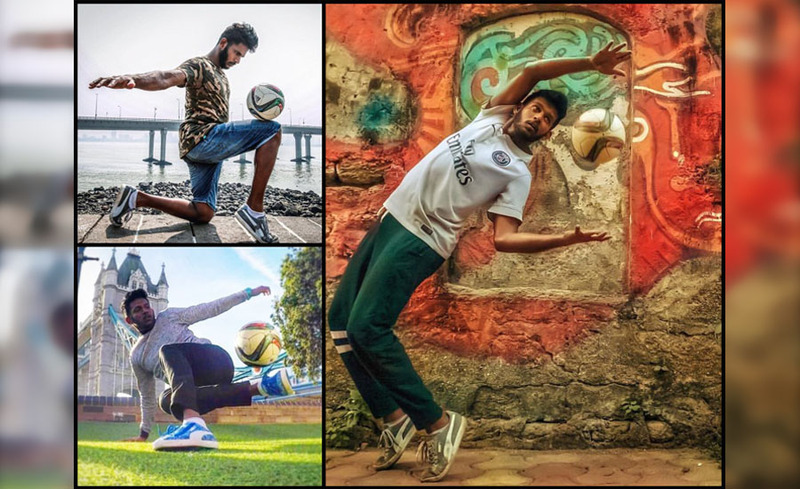 What is the future of Football Freestyle in India? In India, football freestyle needs to grow as a sport first rather than career for now. For that, I think going social is the best way! With so much technology in our hands, we can easily make the world aware of our talent and spread this as a sport. YouTube, Instagram, Twitter, and all these social media platforms can be efficiently utilized to develop this sport. Viewership has increased massively over the years, when I posted my first picture on Instagram, it had just 28 likes, it wasn't about the number of likes then but about the people who saw it. But if you see now, I posted picture four days back, it had more than 5000 likes. Social media is a strong tool today, people can see everything and anything of their interest. There are more than 50 recognized freestylers in India today, but then the quality must increase for development of this sport. Quantity will increase with the help of awareness, quality needs to be focused upon. Why do you think Football Freestyle is not much successful in our country? According to what I've seen since 2008, Most of the teenagers of this generation who play football or freestyle football don't take it seriously, they play for passion but then leave it for stability in career. As they grow older, money becomes more important than their interests, so they leave freestyling. They're not confident on their talent, whether it will help them build a stable career or not. When I am training, I focus only on training, but when I work, it's all about arts and commercials. I even perform for NGOs to raise money for them, it's all about accepting yourself for what you love. People also call you Archie Crispy? Originally, my name is Archis, but people found it difficult to understand at first and since, Archie was a popular and understandable name, I got named Archie. The Crispy has a funny story to it. When I was 15 years old, I was very fat, I weighted 110 kgs and I used to play football. When I was in college, I was very fond of eating chicken crispy. If you'd meet me then, my first choice of food would always be chicken crispy, so people started calling me Archie Crispy because of this reason referring to me as the guy who loves eating chicken crispy. Now when I have completely transformed myself, I am still referred that way, as it's said, work and personality changes but your name doesn't change. It's ironical, as now I am a lot more fit than before and I don't eat chicken crispy that often, but that's how it is.